Bearing temperature is sand washer phenomenon often encountered in use, however, sand washer bearing overheating for sand washer is the fault of impending precursor, should pay great attention to, when sand washer was observed after bearing temperature is too high, timely find the reason, can effectively avoid the happening of subsequent failure, can prolong the service life of bearing sand washer.Why bearing temperature of Sand washing machine is too high, there have many reasons, the following we will briefly understand. Improper bearing installation of sand washer. If the bearing is not installed correctly and the accuracy is low, torque will be generated when the bearing is rotated, causing heating or wear. In addition, the bearing will also generate vibration and increase the temperature.Therefore, it is required to make the shaft and the center line of the bearing hole coincide when the bearing is installed. Bearing lubrication lack of lubricating oil or need to add. The existence of lubricating oil has an important impact on the friction, wear and vibration of the bearing. Once the lubricating oil is short of or dry, it will cause the bearing to overheat after running for a long time and affect the service life of the bearing.Therefore, a good lubricating oil inspection habit is to ensure that the normal operation of the favorable conditions. 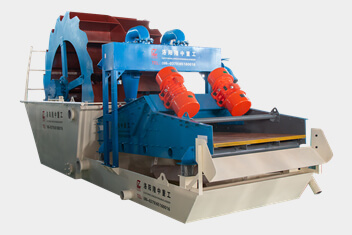 The bearing of sand washer is badly worn. The continuous running of the bearing in the state of wear and tear will lead to the increase of friction and increase of heat, thus increasing the temperature of the bearing. In the sand washing machine work, due to the working environment of dust quite much, when part of the fine dust into the high-speed operation of the bearing seat, will cause the bearing seat lubricating oil or grease deterioration, poor lubrication, and then make the bearing wear. The inspection and replacement of the bearing is not timely. If the bearing is found to have serious oxidation corrosion, wear pits, cracks, or there is too much noise can not be adjusted, if the replacement is not timely, it will cause the bearing to appear heat, noise, vibration and other conditions, thus affecting the normal production. The bearing used in the sand washer is of poor quality. 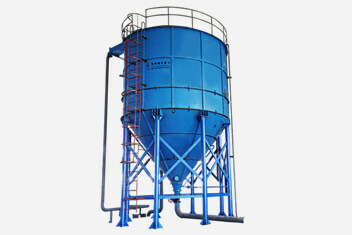 Sand washing machine equipment to a large extent depends on the accuracy, life and reliability of the bearing, if the use of poor quality of the bearing, in high frequency use for a period of time will appear after a variety of problems, therefore, in the purchase of equipment to pay attention to the inspection of the bearing, as far as possible to choose qualified products of the regular manufacturers. In some cases, the rotor in the process of operation due to the corrosion of the medium or wear of solid impurities, or the shaft bending, will lead to the generation of unbalanced centrifugal force, so that the bearing heat, vibration, serious wear raceway, until complete damage. The above is caused by the sand washing machine bearing temperature is too high a few common cases, LZZG hope that the majority of customers in the work of the production process, and then encounter the sand washing machine bearing heat, can timely troubleshoot the possible failure, in order to ensure the efficient operation of the sand washing machine.